Any individual or legal entity who uses or intends to use a trademark in the Republic of Korea is entitled to file a trademark application. things that can be visually recognised other than the above-mentioned things. A trademark, collective mark, business emblem or geographical indication and certification mark can be registered and protected in Korea. As the Korean Trademark Act adopts a ‘principle of registration’, a trademark right can only be established with the registration of the mark. Even if it is not used, once the trademark is registered, the trademark right is established. It takes approximately one year to obtain a trademark registration (provided there are no objections or opposition proceedings etc). The cost of registration varies depending upon the number of goods or classes in the trademark application, whether there is a trademark search before the trademark application, whether there is preliminary refusal, whether there is a final refusal or whether there is an opposition filed from a third party. In general, attorney fees for a trademark application are US$500 and the official fees are 62,000 won per class (with no more than 20 items of goods or services); for the publication of a trademark application, the fees are US$130; and attorney fees for a trademark registration are US$170 and the official fees are 211,000 won per class (with no more than 20 items of goods or services). At its simplest, registration of a mark in one international class with no more than 20 items of goods or services - unless there is trademark search, preliminary refusal or opposition by a third party upon the trademark application - would cost approximately US$1,300. In Korea, a trademark applicant is required to designate goods or services according to 34 classes of goods and 11 classes of services as adjusted under the 11th edition of the NICE classification (from 1 January 2017). Of course, multi-class applications are available in Korea. Many law firms in Korea offer a discount on attorneys’ fees when filing a multi-class application. However, there is no reduction on official fees when filing multi-class applications. Once an application for trademark registration is filed, the Korean Intellectual Property Office (KIPO) examines whether it is in compliance with the formal requirements. Then, an examiner who has been assigned to prosecution of the application will examine whether there are absolute grounds and relative grounds for refusal of registration of the trademark application. The absolute grounds include examinations to determine whether a mark sought to be registered is distinctive, identical or similar to a national flag, national emblem etc. The relative grounds include examinations to determine whether there is an earlier similar trademark owned by a third party. The examiner conducts a search to determine whether the trademark is identical or similar to any earlier trademarks registered or filed before the filing date of the application, or well known in Korea or in a foreign country in connection with identical or similar goods or services. After the examination proceedings, if the examiner fails to locate any grounds for refusal of registration of the trademark application, the trademark application will proceed to publication in the Trademark Gazette for opposition purposes. If no opposition is raised within two months from the date of publication, then a notice of allowance will be issued and the application will be matured into registration. On the other hand, if there are grounds for refusal, the examiner will issue an ‘office action’ based upon the grounds for rejection of the application for registration. In response to such an office action, the applicant may submit a response within the designated or statutory period. Under current Korean Trademark Law, any type of affidavit or consent between the conflicting parties is not acceptable. Therefore, it is of no assistance to supply a letter of consent to overcome the KIPO’s objection based on the cited mark. If the applicant fails to overcome the grounds for refusal of registration, the examiner will issue a decision of refusal. The applicant may appeal against the final rejection before the Intellectual Property Tribunal (IPT) at the KIPO. In Korea, there are no provisions in the Trademark Act clarifying the time by which use must begin to maintain the registration. Therefore, submission of any proof of use of a trademark is not required before registration is granted or issued. Also, the use of the mark is not a prerequisite for filing. However, pursuant to the Trademark Act, if a registered trademark has not been used in Korea for a period in excess of three consecutive years after registration without any justifiable reasons for such non-use, the mark is liable to cancellation upon petition of a third party based on non-use. Under the Korean Trademark Act, the applicant can appeal against a decision of final rejection on a trademark application. Any applicant dissatisfied with the decision of refusal may file an appeal before the IPT within 30 days of the date of receiving a certified copy of the decision of refusal. The applicant may then appeal to the Patent Court (High Court level) against an unfavourable decision by the IPT, and may also appeal to the Supreme Court against the Patent Court’s decision. A Supreme Court decision is final. When an application is published, any person may file an opposition against the published trademark application at the KIPO within two months of the publication date of the application. A person requesting an opposition may supplement the reasons and evidence for supporting the opposition filed against a trademark application within 30 days after the expiry date of the opposition period. Attorney fees for preparing and filing opposition vary depending on the firm; generally they will be US$1,500 to US$2,500 per mark, and official fees are US$50 per class. With the exception of raising a cancellation trial by the applicant against the cited mark conflicting with their own trademark application, any person can seek cancellation of a trademark registration on the grounds of non-use and illegitimate use of the trademark. This makes it easier for third parties to challenge unused marks. The burden of proof of use is on the owner of the trademark against which a cancellation trial is filed. Where the owner fails to prove previous use of a trademark for three consecutive years before the date on which a trial is filed, or to provide justifiable reasons for non-use, the trademark registration will be cancelled. Accordingly, it is desirable to secure sufficient evidence of domestic use of a registered trademark. According to the latest trademark law, electronic use, such as in e-commerce or other electronic services, will also be recognised as one of the possible types of trademark use. An interested party or the KIPO may file a trial for invalidation of a registered trademark on the grounds that the mark is not registrable. If two or more designated goods are covered by the trademark registration, a request for an invalidation trial may be made for each of the designated goods. A trial for invalidation may be requested even after the extinguishing of a trademark right. Attorney fees for preparing and filing invalidation and cancellation vary depending on the firm; generally they will be US$3,500 to US$4,500 per mark, and official fees are US$240 per class. A trademark registration is valid for 10 years from the date of registration. The application for renewal can be filed during the one year prior to the expiry date of the trademark registration. There is a six-month grace period from the expiry date to file for the renewal. Proof of use is not required for renewal in Korea. In principle, only a registered trademark can be protected under the Korean Trademark Act. The trademark owner can request a person who is infringing or is likely to infringe the trademark right or exclusive licence to discontinue or refrain from the infringement, and prevent others from using his or her trademark or confusingly similar trademarks in relation to the same or similar goods or services. The registered trademark is also protected with the cooperation of the Korean Customs authorities. The trademark owner can record his or her trademark at Customs to prevent unauthorised goods from being imported and exported through Customs, and the Customs authorities must stop clearance of the unauthorised goods and notify the trademark owner of the arrival of the unauthorised goods. In addition to this, if imported goods seem unauthorised, even without the owner’s previous recording of the registered trademark, Customs can suspend the clearance of the corresponding goods ex officio and notify the trademark owner that there has been an attempt of importing any unauthorised goods. establishment, transfer (excluding transfer by inheritance or other general succession), modification, extinguishment by abandonment or restriction on disposition, of a pledge, the object of which is an exclusive licence or a non-exclusive licence. When an exclusive licence or a non-exclusive licence is registered, it shall also be effective to any person who acquires rights or an exclusive licence or non-exclusive licence after the registration. A trademark right may be assigned separately for each of the designated goods or services. In such cases, the rights for similar designated goods or services shall be assigned together to the same assignee. A trademark may be assigned with or without goodwill and other business assets. respective power of attorney signed by both the assignor and assignee. The transfer of a trademark application for trademark registration or a registered trademark, except for inheritance or other general succession, is not effective without recording the transfer of the trademark application or registered trademark. Security interest agreements are recognised and recordable with the Trademark Registry at the KIPO in order to give a third party notice of equitable interest or other matters relevant to the ownership of a trademark registration. A pledge as a kind of security interest on a trademark right or exclusive or non-exclusive licence may be recorded. As a trademark right can be assigned by way of enforcing a pledge right, creditors can secure a right of preferential repayment by establishing a pledge for a trademark right. A pledge in a trademark right must be recorded with the Trademark Registry at the KIPO to be valid. In the case of an exclusive licence, an exclusive licensee can establish a right of pledge in the exclusive licence subject to approval of the owner of trademark registration. The pledge in exclusive licence must be recorded with the Trademark Registry at the KIPO in order to take effect. The right of pledge in a non-exclusive licence also may be established under approval of the registrant and may be recorded to give notice to a third party. The trademark owner, exclusive licensee and non-exclusive licensee usually use the words ‘registered trademark’ or the symbol ® to indicate trademark registration, even though use is not compulsory. The words and symbol are used in such a way as to prevent others from infringing the trademark. Anyone who infringes a trademark right or exclusive licence of another person bearing such words or symbols is presumed to have known that the trademark was already registered, and is therefore presumed to have intentionally infringed the trademark right. Accordingly, by using the markings a trademark owner can easily prove the infringement of the trademark right in any legal action. a request for restoration of a business reputation. a request for mediation to the IPT. A person who has infringed a trademark right or an exclusive licence is liable to criminal prosecution and imprisonment with labour for a period not exceeding seven years, or a fine not exceeding 100 million won. An infringement trial progresses by way of argument and proof between plaintiff and defendant. Discovery is usually not permitted, although there is a similar system available (evidence preservation). If necessary, witnesses’ live testimony and experts’ opinions are permitted. Infringement proceedings typically last around six months, depending on the complexity of the case. The plaintiff shall prove the defendant’s infringement of his or her trademark right. However, the Korean Trademark Act contains certain articles to lessen the burden of proof on the plaintiff in some cases. A trademark owner or exclusive licensee is entitled to seek an injunction, provisional injunction, compensation, the return of undue profit, restoration of reputation and, finally, criminal prosecution. Under the Korean Trademark Act, it is possible for the trademark owner to grant an exclusive licence of the trademark without recording it in the Trademark Register. Thus, the exclusive licensee can also claim trademark infringement and seek damages even if its licence has not been recorded. Standing to bring a criminal complaint lies with the trademark owner or its exclusive licensee, or both, with police officers or the Public Prosecutor. However, only the Public Prosecutor has standing to bring a criminal complaint to the court. Only activities that take place in Korea can support a charge of infringement or dilution according to the Korean Trademark Act. 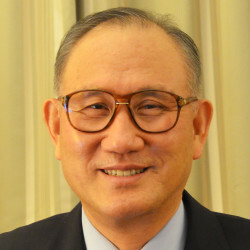 However, the Korean Trademark Act defines activities of importing unauthorised goods as a kind of infringing activity too, so that, for example, importation of unauthorised goods can be withheld at Customs ex officio or according to the trademark owner’s previous recording of the trademark. Korean courts do not adopt exactly the same system as discovery, but the court may order a party who has documents to submit them as proof if there is a request from another party to do so and the document-holding party is determined to have such proof. If the document-holding party fails to comply with the court’s order, the court may consider that the requesting party’s allegation about the document is true. A civil (criminal) proceeding for an infringement begins with a filing of the trademark owner or exclusive licensee’s complaint with a civil (criminal) court (district court). If the defendant (alleged infringer) submits a written answer, the court holds the pleading process and the hearings, and then renders a judgment. The civil (criminal) proceeding takes about one year. A party who is dissatisfied with the district court’s decision can lodge an appeal before the High Court within 14 days from the date on which the district court’s decision is delivered to the party. A party who is dissatisfied with the decision of the High Court (Patent Court) can lodge an appeal before the Supreme Court within 14 days of the date on which the High Court’s decision is delivered to the party. Further, the party shall submit a written statement of the grounds for the appeal to the Supreme Court within 20 days from the date of receiving the notice that the party shall supplement the grounds for the appeal. Litigation costs are as follows. provisional injunction: US$7,000 to US$10,000. criminal prosecution: US$5,000 or more. Two-step appeals against the decision of the district court are available; any person who is dissatisfied with the decision of the district court may appeal to the High Court (Patent Court), and any person who is dissatisfied with the decision of the High Court (Patent Court) may appeal to the Supreme Court. A Supreme Court decision is final. There are many ways to defend against a charge of infringement or dilution. A defendant may argue that his or her use of a mark is based on his or her own trademark, that the scope of the trademark right does not extend to the use of the mark by the defendant, that there is no likelihood of confusion between the marks or goods or services, or that the defendant is entitled to the use of the trademark (eg, based on the prior use of the trademark). Of course, if the registration right has original defects meaning that the mark is not registrable, a defendant may deny the trademark right based on such. A defendant may file an invalidation trial of the trademark registration or a cancellation trial on the grounds of non-use before the IPT at the KIPO. In addition to the argument that the use of trademark by a defendant does not fall within the scope of the registered trademark right in the legal procedure, the defendant may file a trial for confirmation of the scope of a trademark right before the IPT at the KIPO. In this regard, even if a trademark is not well known in Korea, a party who has been using its trade name (commercial name) as a trademark may continue to use such trademark if it has previously done so without engaging in any act of unfair competition before the other party’s application was filed. Where judgment is given for the defendant, he or she can seek a complaint for compensation of damages in a separate lawsuit so as to recover actual expenses and financial losses in business, as well as credit or mental damages. Permanent and preliminary injunctive relief are available in addition to monetary relief. A person who has trademark rights or exclusive licence may move for a preliminary injunction or permanent injunction when his or her right is, or is about to be, infringed. The owner of a trademark or exclusive licensee may go to court to obtain an injunction against any person who is infringing or is likely to infringe its trademark, and require to cease and desist any infringement, such as ‘the destruction of the goods or equipment, any other measures necessary to prevent future infringement’. Under the Korean Trademark Act, a trademark owner may enter a claim for actual damages, can seek the forfeiture of the profits derived from the infringing activities or seek payment of a royalty that the owner would normally be entitled to receive for use of its registered trademark. Alternatively, the trademark owner can claim damages in an amount equal to the total sales of the infringing goods multiplied by the profit per unit of such goods. A trademark owner can claim statutory damages against an infringing party of up to 50 million won instead of claiming on the basis of actual quantifiable damages. However, statutory damages are only available in cases where the infringing mark is identical or virtually indistinguishable from the injured party’s registered mark and used in connection with goods or services that are identical or virtually indistinguishable from the goods associated with the registered mark. Under the Korean Trademark Act, any person who intentionally infringes a trademark can be imprisoned for up to seven years or fined an amount of not more than 100 million won. There are two forms of ADR. The arbitration decision has the same effects on the conflicting parties as a decision issued by the Korean courts and, thus, has binding power as a final decision to the parties. Arbitration is processed with reference to the UNCITRAL Arbitration Rules. Also, Korea is a member of the New York Convention on the Recognition and Enforcement of Foreign Arbitral Awards. These mediation techniques are quick, cost-effective and time-effective to implement. The disadvantage is that when mediation does not resolve the dispute, the parties must seek remedy through court proceedings. There is a provision in the Korean Trademark Act stating that a trademark identical or similar to a mark that is well known to consumers in a foreign country cannot be registered in Korea. According to this provision, even if the mark has not been used in the domestic market or is not well known to domestic consumers, as long as the mark stays well known in a foreign country, the owner of the well-known mark may still prevent registration of similar or identical marks. Founded in 1973 and headquartered in Seoul, Kims and Lees expertise in intellectual property in the areas of patents, trademark, trade secret, unfair competition/anti-counterfeiting, licensing/technology transfer and its related matters.